Bangor, Wisconsin. Last Course Sensations is a boutique bakery specializing in single-serving, hand-crafted desserts. 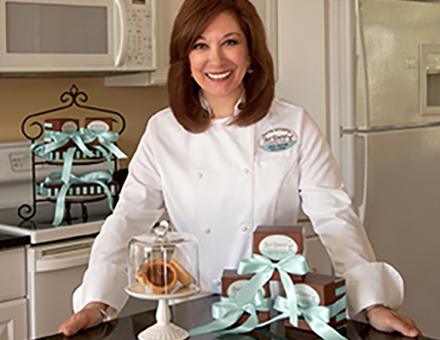 Owner Linda Speziale creates the ultimate dessert experience, Butter Tarts. Butter Tarts are made with a flaky, buttery pastry and filled with a caramel filling. Her individual servings and elegant packaging make these specialty desserts a great gift, wedding favor and last course sensation. Read "Desserts by Last Course Sensations are Certified Delicious" on the Sconnie Days blog!